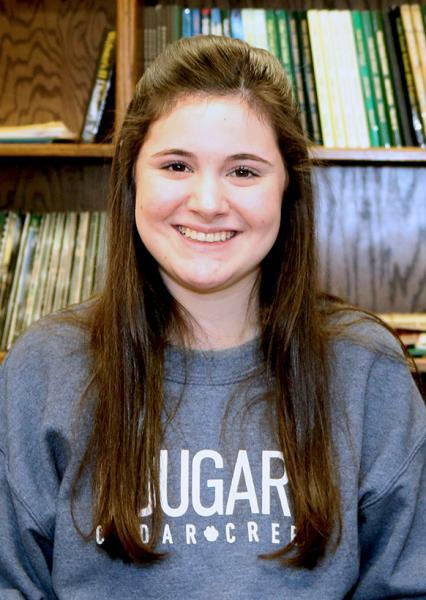 Cedar Creek’s Kate Walker has been named one of Louisiana's top two youth volunteers of 2019 by The Prudential Spirit of Community Awards, a nationwide program honoring young people for outstanding acts of volunteerism. Kate represents the third Cedar Creek student to receive this extraordinary recognition. Anna Katherine Tollett and Olivia Cuthbert were recognized in the previous two years. As a state honoree, Kate will receive $1,000, an engraved silver medallion and an all-expense-paid trip in early May to Washington, D.C., where she will join the top two honorees from other states and the District of Columbia for four days of national recognition events. Kate, a Cedar Creek sophomore, has raised more than $70,000 to find a cure for a rare neuro-muscular disease that makes it difficult for her to walk, and employs different kinds of media to spread awareness and educate the public about disabilities in general. In 2016, Kate was diagnosed with Friedreich's ataxia (FA), an inherited degenerative condition that has no cure or treatments. "After months of wrapping my brain around the fact that I was going to be disabled, I knew I did not want to sit on the sidelines for the course of this disease," she said. "I wanted to help find a cure." She also wanted to teach people the importance of treating people with disabilities the same as everyone else. While attempting to learn as much as possible about her disease, Kate discovered a national organization dedicated to FA research. Soon after, she formed a team to participate in the organization's annual cycling fundraising event by arranging T-shirt and bake sales, art parties, restaurant nights and donations. She also hosted a local screening of a documentary film about FA, built a website, launched a social media campaign, helped convene web-based meetings for teens with FA, and started a YouTube channel featuring weekly videos about the challenges facing people with disabilities. "My goal is not only to raise awareness about FA, but to help knock down the border between those who are disabled and those who are able-bodied," said Kate.